The fifth album from Pennsylvania's War Of Ages is an enjoyable romp through the better neighbourhoods of Christian metalcore. Arise And Conquer finds enough variety to keep the music interesting within the limitations of the genre, with the band injecting tons of infectious energy. Leroy Hamp's vocals are mostly screamed growls, with a few clean passages thrown in on the rare occasion. Hamp comes across as being burned at the stake, and angrily blaring that the fire is not hot enough. The rest of the band's sound is defined by guitarists Steve Brown and Branon Bernatowicz, and without rewriting any metal guitar history they demonstrate the talent to add enough texture, some solos, and quite a few variations away from metalcore's traditional monotonal safehouse. Alex Hamp keeps the beat on the drum kit, and blasts the door open on a few excellent breakdowns. 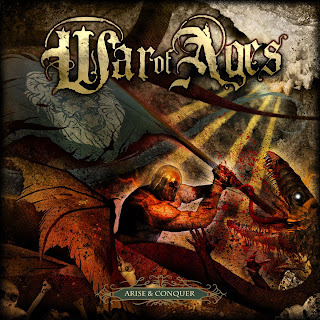 Arise And Conquer boasts four excellent tracks. Opener All Consuming Fire immediately launches the album into a high orbit, with oodles of attitude, a nippy pace and a massive breakdown raked by the eternal All...Consuming Fire....BURN! lyrics. Through The Flames is the most purposeful track and also the most nimble, Brown and Bernatowicz getting busy and buzzy on the guitars, with some of the vocals almost coming across as actual singing! 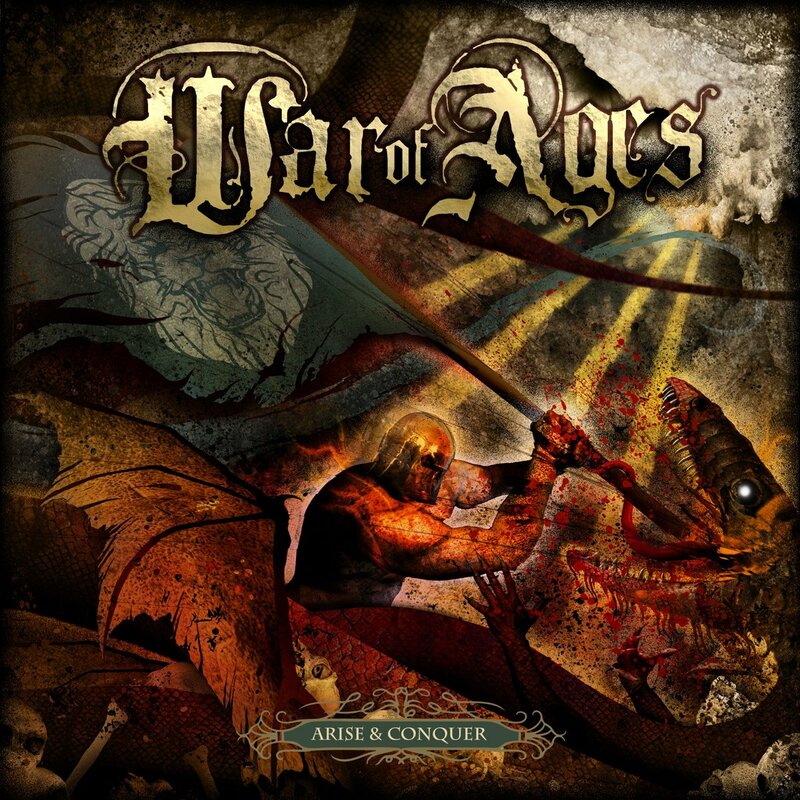 Sleep Of Prisoners is a pleasant surprise, War Of Ages taking a swing at metal almost without the core, a catchy riff and solid melody driving the song to the gate of the big boy metal racecourse. The Awakening is not quite as good as the other three, but features an excellent opening 45 seconds filled with a promise that unfortunately is not quite sustained. The other seven tracks are honestly purposeful without digging too deep into new ground. Arise And Conquer does rise, and if it does not quite conquer, it at least makes a lot of good noise while having a go. Produced by Tim Lambesis and Daniel Castleman. Mixed and Engineered by Daniel Castleman. Mastered by Nick Zampiello.